Hi there, New Platinum Media Course with huge discount currently now!!! We are pleased to announce that currently now available at The Lipstick Make Up Institute a great discount on the new Platinum Media Diploma Course. You pay only AED 19999 instead of AED 26250. Hurry up as only 5 days left until it’s ends. Don’t miss the opportunity to be trained by the best makeup teachers of Dubai. Get 6 weeks of amazing training at one of the best international makeup institutes. Try backstage life with The Lipstick Makeup Institute Team, chance to work & practice with professional models. 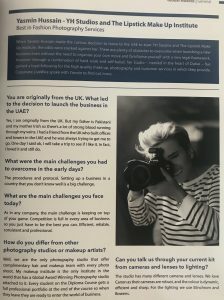 Create your portfolio together with the Best Fashion Photography Studio of Dubai, YH Studios DXB. We want to share with you some more good news. This 2019 year brings two more Global Awards into our doors . 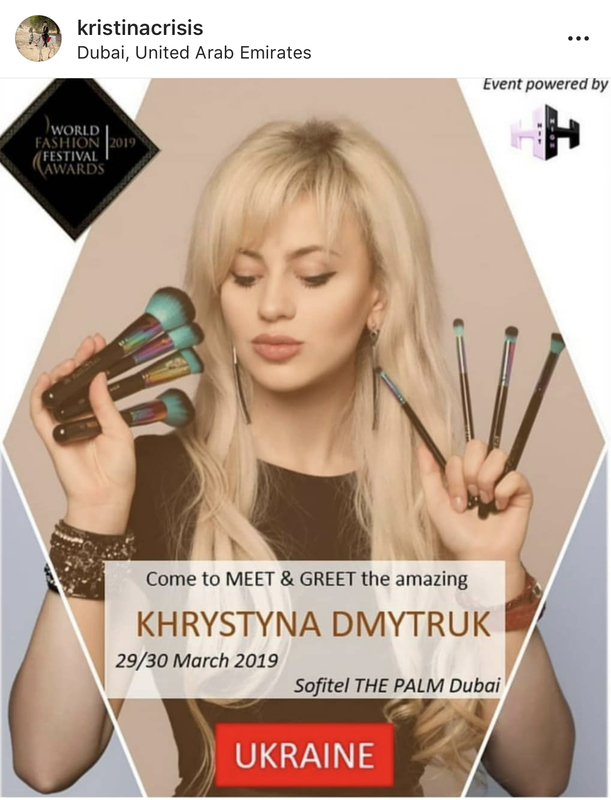 Ok, so the first one is Best Fashion Photographer Dubai taken by our incredible Yasmin Hussain & Best Makeup Artist World Fashion Awards Dubai by one of our Head makeup educators – Khrystyna Dmytruk. Meanwhile our Lipstick makeup team was not waisting their time. They did two hundred people for World Cup Dubai 2019 in 5 hours. Yes, yes, I’m not mistaken , TWO HUNDRED PEOPLE, hair and makeup. Isn’t it the sign of being the best? Team is our proud. Need to mention that most of the members are the best graduates of The Lipstick Makeup Institute. In April we are waiting for new season of Arab Fashion Week, so don’t miss it out and follow us on Facebook and Instagram. You’ll be able to be updated with new trends , new faces in fashion world and of course backstage life live. Our beautiful boss saying , that she has a good team around her and without each of us we would not achieve what we are now. Support and dedication are the main strong points that rolling life in a right way. 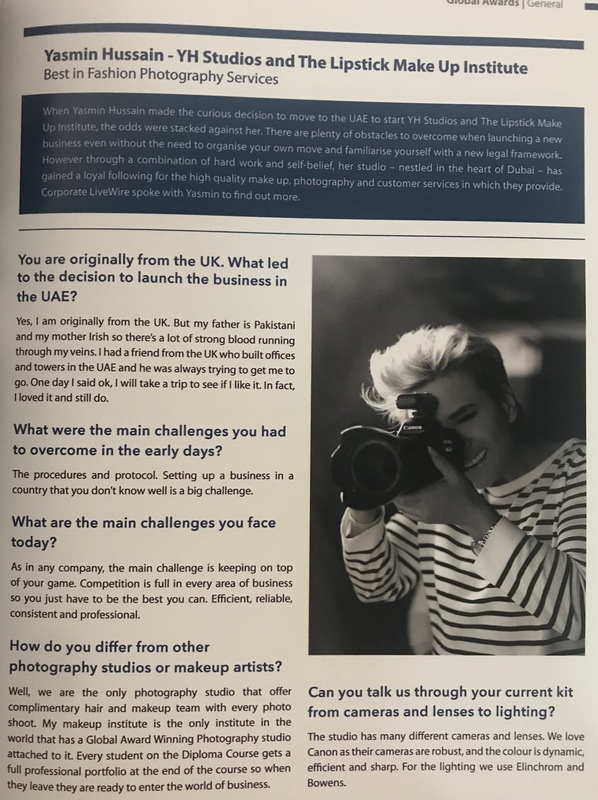 UAE is really such an a mazing country that provides the opportunity to grow and giving such a great support to each and everyone.